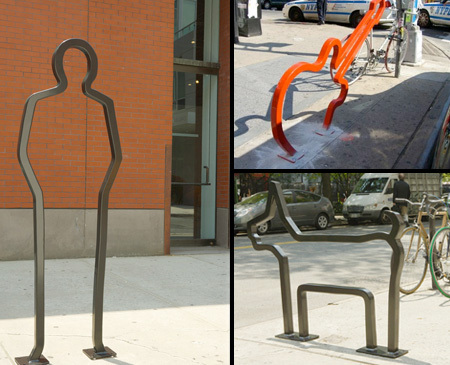 Unique bicycle stands and creative bike rack designs from all over the world. 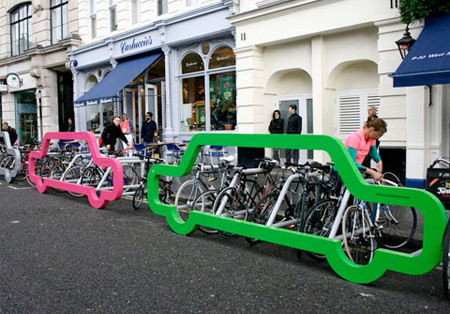 Clever bike rack acts as a barrier that protects bicycles from cars. 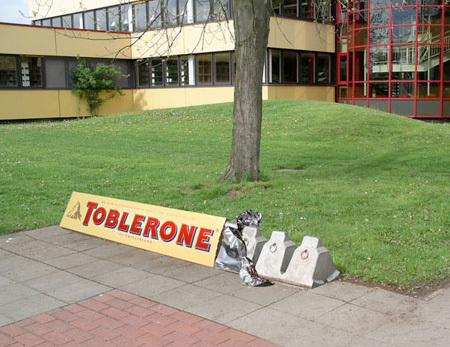 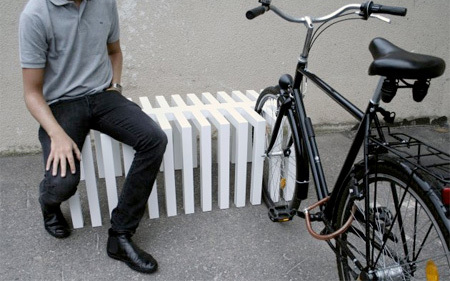 Creative park bench designed to also be used as a bicycle rack. 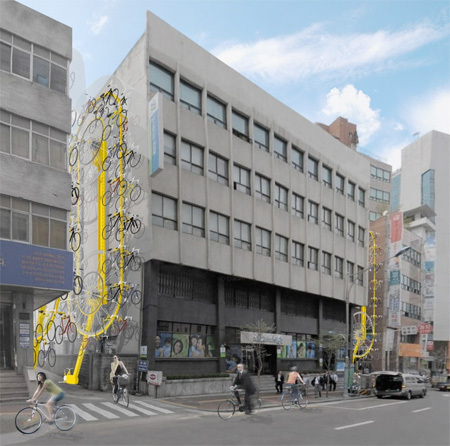 Vertical bike storage system designed to be installed on the sides of the buildings in alleys instead of sidewalks. 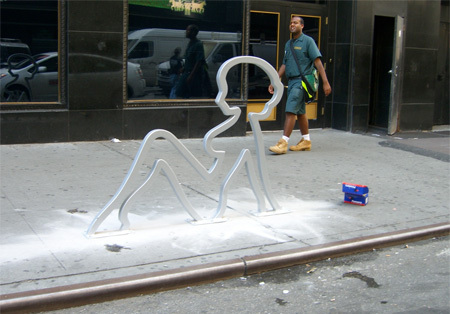 Unusual bicycle stands in New York designed by David Byrne. 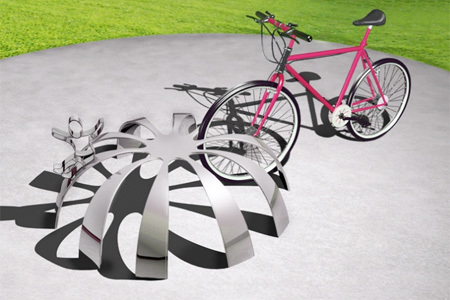 Circular bicycle rack designed by Adeline Thong from Singapore. 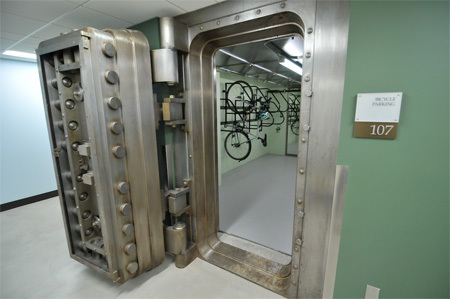 Unique bike parking in the historic building in downtown Portland. 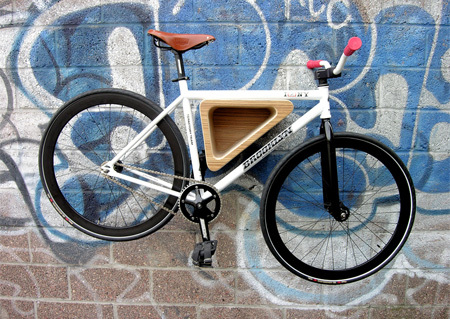 Bedford Avenue bike rack allows you to hang your bike on the wall. 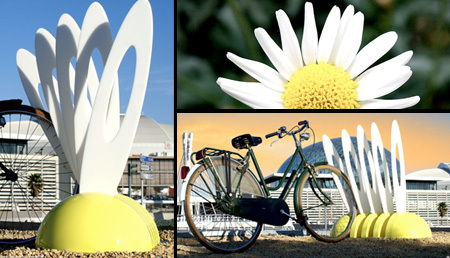 Beautiful nature inspired bike rack designed to look like a flower. 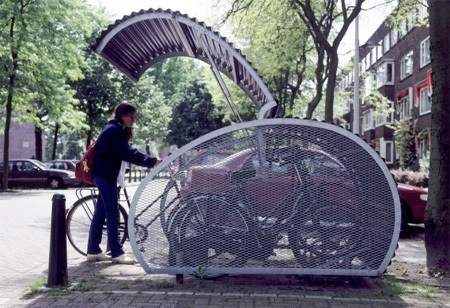 Provides safe and dry storage space for up to five bicycles. 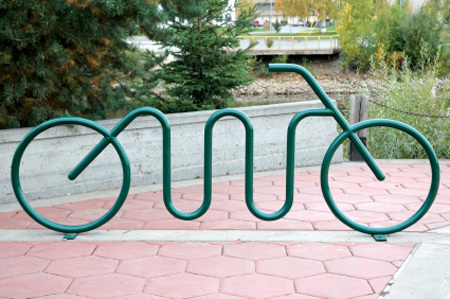 Fun and creative bike rack designed to look like a bicycle. 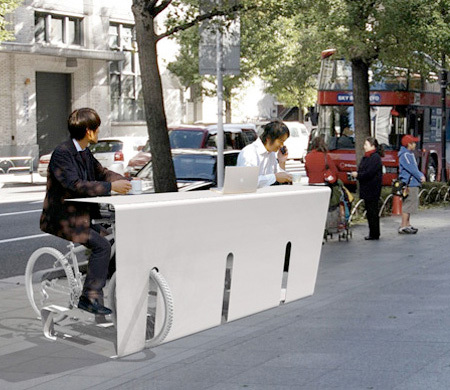 PIT IN table allows you to take a coffee break and check your email. 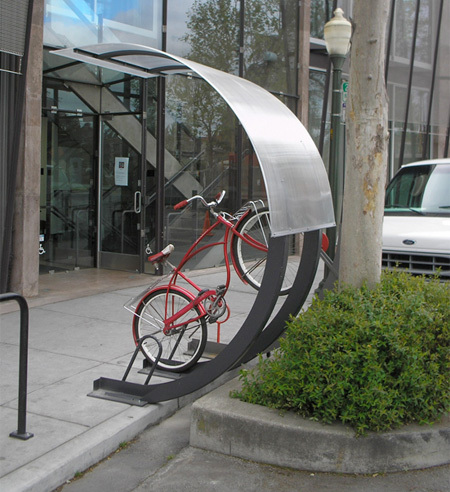 Unique bike rack in Roanoke, Virginia looks like a giant hair comb. 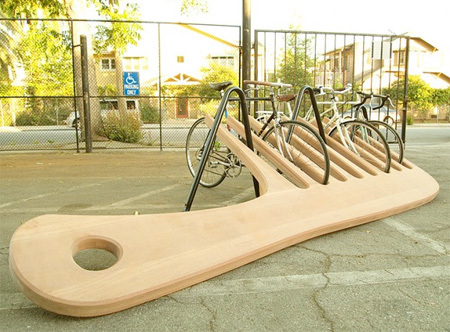 Modern bike rack offers secure weather protection for your bicycle.